Lounging calls for an ultimate devotion to kimonos and earthily printed pants. I've been in a mood to sit back, wake up earlier on the weekends to catch up on reading . . . maybe even write a poem or two . . . watercolor a painting to put up on my wall. I can't remember the last time I've done these things. One of the main struggles of living in NYC is the one-sidedness of urban life. Work work work. Every day is task driven. Every day a job needs to get done, but its never fully finished, so the next day you drill your way through it again. Sleep is usually no more than 5 hours a night for me. The city is beautiful but it moves so fast, sometimes it's hard to see it for what it is from the outside again. I want this to be the summer of appreciating what NYC has given me, and for me to give it something back, while at the same time letting my mind wander a bit more and not have to feel rushed into the next thing as much. Maybe now I can have time to make my own coffee in the morning and really get to taste it. Maybe start a conversation with someone on the subway and not just leave it at that. Yes, always remember to step back, breath and take in life. It is so important but can be such a hard thing to do. Dear, I'd like to ask you something! 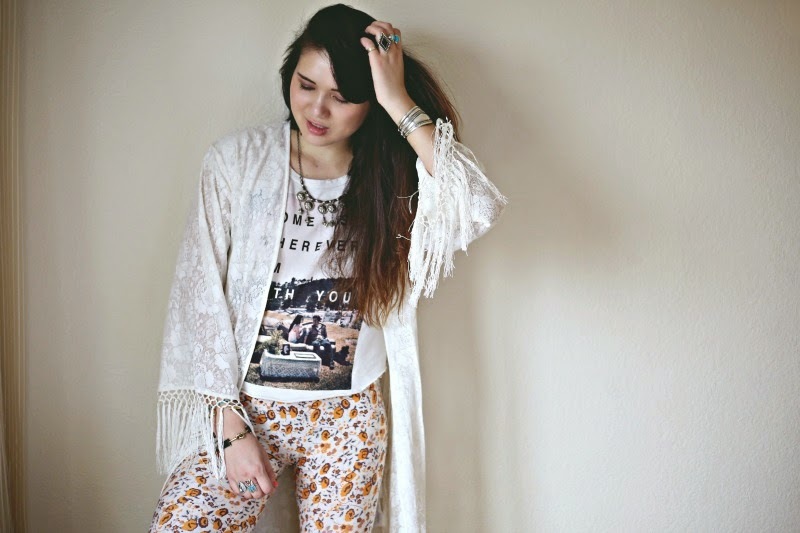 I want to start my cooperation with www.sheinside.com, and I need 100 clicks from this post http://kasqqq94.blogspot.co.uk/2014/04/must-have-sheinside.html to links to sheinside. You can find them on the bottom of the post! It would be very nice if you could help me just a little! 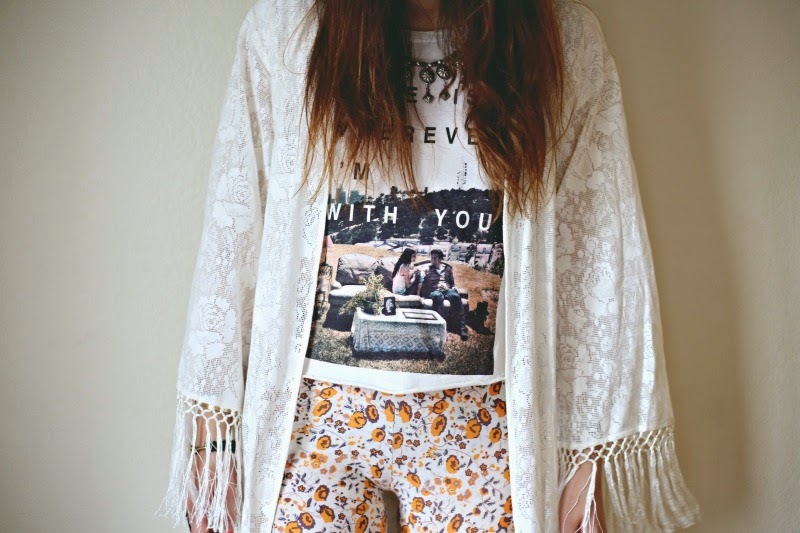 LOVE the print on those pants! I love the leggings and the top. Okay let's be honest, I really enjoy that kimono too. 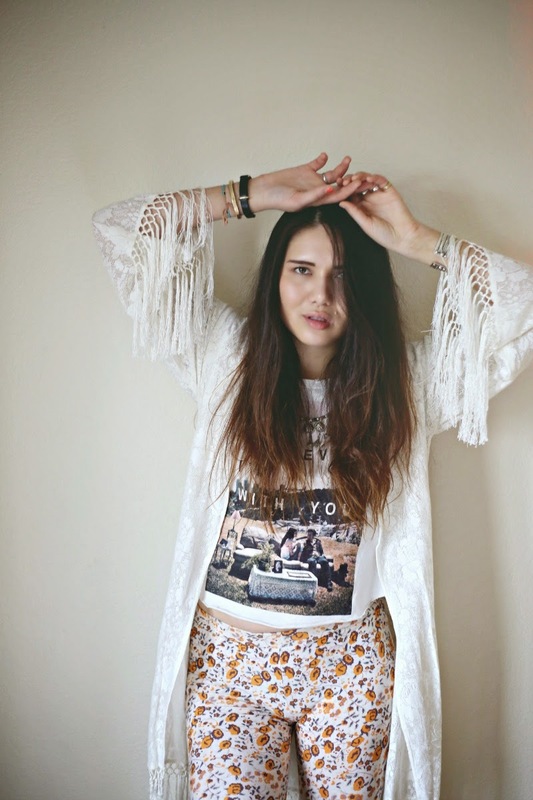 This is a great casual bohemian look Dylana. 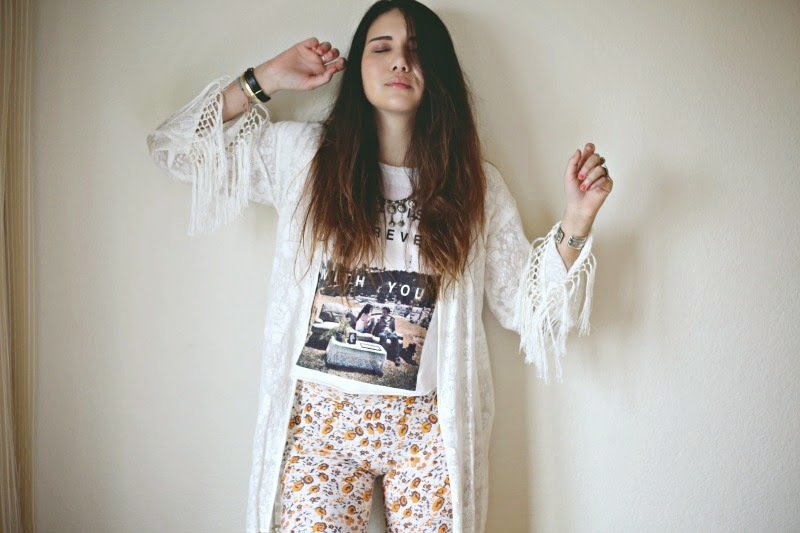 I love that about the outfits you style!